What gas heater should I buy? If you’re feeling a bit chilly this winter, have you considered a gas heater? While traditional heaters all tend to use electricity as the power source, gas heaters obviously use a gas connection. The end result could be that you save money in power bills and arguably do your bit for the environment. However, is a gas heater actually right for you? Due to Australian requirements, most of the time gas heaters use LPG as it’s a relatively safe form of gas to use. There are various laws in place around the nation dictating what you can and can’t do with a gas heater, and generally you’re also restricted as to what room you can place a gas heater in. So, let’s just see what the laws are, what brands make gas heaters, and whether they are suitable for your needs. What is an unflued gas heater? Do you have the flue? Not the illness, but a particular kind of gas heater. Unflued or flueless gas heaters are essentially portable as they don’t require gas piping. They’re also quite efficient as most of the gas is turned into heat. However, the trade-off with this is that most of the time you have restrictions about where you can put one. As the gas isn’t channelled outside, unflued heaters are restricted only to large rooms, so unventilated rooms, bedrooms and studies are out. An unflued gas heater is a great alternative to traditional electric heaters, but they aren’t without their shortcomings. In fact, they’re probably not for everyone as they do produce low, safe levels of carbon monoxide and nitrous oxide, which may irritate people with allergies or sensitivities. This is where a flued gas heater may come in. What is a flued gas heater? A flued gas heater basically means piping is installed to channel gas away from the room and outside. Generally they are not portable like unflued gas heaters and require professional installation. Most units can be installed into an existing fireplace to make use of the chimney; however you can still use what’s called a firebox and install a flue anywhere in the home. Flued gas heaters require installation and are not portable, however they do have the benefit of not circulating gas around the room and generally being bigger and more complete home heating solutions. How much energy does a gas heater use? Gas is measured in megajoules (MJ) and portable gas heaters typically use anywhere from 5-25MJ an hour. Unflued gas heaters are typically less powerful, at around 10MJ at maximum input, whereas flued gas heaters can use more than 20MJ at their maximum input. This is similar to electric portable heaters versus heaters that require installation. 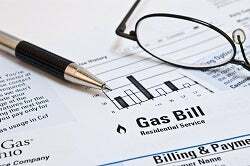 While these maximum gas inputs may seem like a lot, the fact is that gas in Australia is generally much cheaper than electricity, and while you may be burning a fair amount of gas, you could in fact be saving money on your electricity bill. How much does a gas heater cost to run? This depends on your heater’s gas input, but an 18MJ flued gas heater could cost around 86c per hour to run. This cost was calculated using AGL Energy’s Queensland residential gas offer with a single rate tariff. Your provider may charge by the MJ differently. 86c an hour might seem like a fair bit to run, but an 18MJ flued gas heater seriously heats your home, and is suitable for a large room. 18MJ is equivalent to about a 5kWh if you had an equivalent electric heater. Keep in mind that your electricity rate tariff may differ, but it goes to show how much you could save by using a gas heater instead. This gas example is also at the upper end of the spectrum, and assuming you are heating on ‘full blast’, so to speak. How much do gas heaters cost? Flued heaters generally cost over $1,500, while unflued heaters can cost less than $500. Flued heaters generally come with much larger gas inputs with the ability to heat entire homes or large rooms, while unflued heaters carry smaller gas inputs, better for smaller – yet well-ventilated – rooms. These prices are generally a lot higher than equivalent electric heaters, which start as low as around $50 with a lot costing less than $500. The higher purchase price can be offset by cheaper running costs, however. 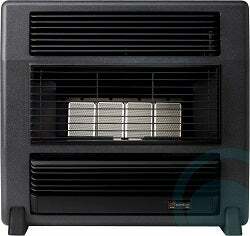 Take for example the Rinnai ‘Cosy Glow’ unflued gas heater, which boasts an 11MJ maximum input. It costs close around $500 and is seen as a small gas heater, but is the equivalent of around a 3kW electric heater. If you used your unflued gas heater for three hours a day for 90 days (a typical billing period), you could stand to save more than $20 as opposed to if you just bought an electric heater of an equivalent size. However, daily supply charges also come into effect, as do your own electricity rates. Gas heaters may initially cost more, but you will stand to save in the long run. This is especially true if you live in a colder environment, plan to keep your heater for a while or use your heater a lot during winter months. Unflued gas heaters benefit from being portable and simple to set-up. The leading brands in this category are Rinnai and Everdure. Rinnai is generally seen as a more budget-oriented brand, while Everdure is for more complete home heating solutions and hence most models cost more. Keep in mind that unflued heaters may not be available for sale in Victoria, especially if they are not using bottled LPG. Rinnai has a huge range of flueless gas heaters, with both LPG gas bottles and natural gas connections used. The ‘650SL Cosy Glow’ is generally the cheapest in the line-up and costs a bit over $500. It comes with dual heat settings and a battery-operated ignition system. It sits at about 40cm high, making it an ideal compact unit for simple heating. The cheapest flueless heater in Everdure’s line-up is the ‘Lancer’ (LAFNGBM), which has a retail price of around $900, but can be found for less than $700. Unlike Rinnai’s example above, it natural gas as its supply, instead of bottled LPG. It sits at about 56cm high and is said to be suitable for rooms around 52m². If you’ve got the flu and want a flued gas heater to keep you warm then it’s pretty hard to go past Rinnai once again. Flued heaters generally attract higher prices, but much higher input capacities. Take for example the Energy Saver (K559FTN) model. It costs over $2,000 at retail price, but sports a maximum input of 23MJ, which is the equivalent of an electric heater around 5-6kW. It boasts a 4.8-star energy rating, and has a full thermostatic control as well as preheating and digital timers so you can be warm as soon as you wake up or step foot in the door. You also get a flue kit for easier installation, but it’s still recommended you get it professionally installed. Are gas heaters worth it? Portable gas heaters are generally more expensive than their equivalent electric counterparts, but that is somewhat offset by lower running costs and the fact that gas is pretty cheap in Australia. However, you will probably have to keep your gas heater for quite a while to recuperate the extra purchase cost. 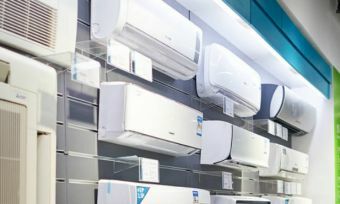 Nevertheless, gas heaters are a great and environmentally friendly alternative to electric heaters, and despite their high purchase prices, could actually be cheaper to run long-term. Stay warm this winter!